To say that Nokia CEO Stephen Elop’s tenure at the company has been controversial would be an understatement. His role in taking the company from its homegrown mobile software to Microsoft’s Windows Phone continues to cause complaint and argument to this day. 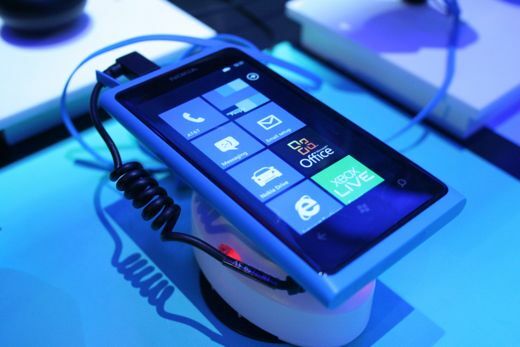 The firm’s first four devices in the Lumia line, the 610, 710, 800, and 900 have been met with generally positive reviews. Sales figures, however, remain mostly obfuscated and unknown. Companies such as Nokia that have a long history in their market, and perhaps even past stints as the leaders of their product categories, can always expect blowback when they radically change direction. Nokia’s Windows Phone strategy has been a textbook example of this. Today, Nokia released a 10 minute YouTube clip of Elop answering questions from individuals that stopped by the company’s booth at a recent conference. Nokia has Elop answering questions in a manner so stiff he almost appears starched, but the content is relatively palatable. In the clip, Elop dismisses physical keyboards, embraces Windows Phone, and explains how the coming shift to Windows Phone 8 won’t be too unfair to current handset owners. If you are a mobile enthusiast, the clip is mandatory viewing.